Two-and-a-half years ago, after CBS realized that it wasn’t really interested in the whole superhero game, it dumped Supergirl and moved the show over to The CW (where it should’ve been all along). Now, with comic book adaptations and superhero shows still as strong as ever, CBS has decided to give capes another shot. According to Variety, the network has started developing a drama series based on DC Comics’ Secret Six, with Scrubs creator Bill Lawrence on board as a producer. The pilot will be written by Rick Muirragui, who previously worked on Suits, The Good Guys, and Men Of A Certain Age. Secret Six isn’t really a household name, like a lot of the comic books that get TV shows instead of movies, but it seems reasonably well-suited to a CBS adaptation. 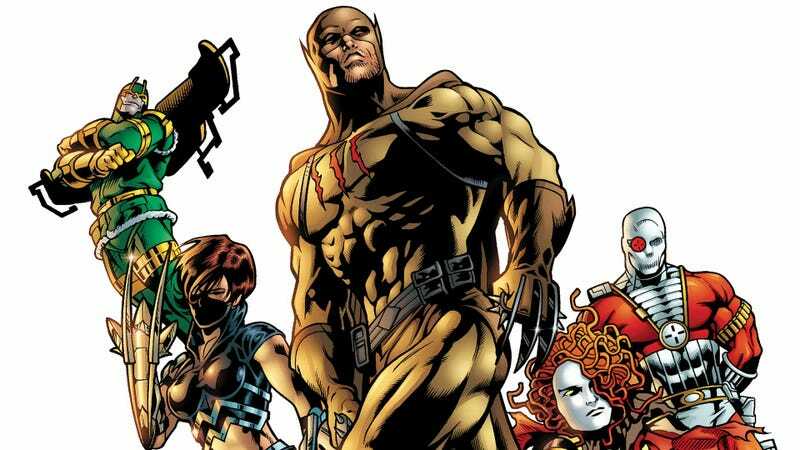 A handful of different teams have used the Secret Six name over the years, most famously in a Gail Simone run that was about a team of established villains doing bad guy stuff. In its original incarnation, though, Secret Six was just about a team of covert operatives, none of whom were secretly Bane or Deadshot. In each version, the team is commanded by a mysterious figure called Mockingbird who may or may not actually be a member of the group, lending a serialized mystery to the stories. It sounds like CBS’ version will be more like the original Secret Six, with Variety saying it centers on “six morally ambiguous strangers, each with their own unique specialties and secret pasts,” who work to “expose the corruption of the corporate and political elite” under orders from “an enigmatic figure.” As far as we know, none of these six strangers will be Bane, but hopefully the network doesn’t completely shy away from putting in cool nods to the comics.